Hey beauties =). I apologize for being so infrequent with my blogging. I recently transitioned to working part-time as a freelance writer / content creator, and it’s taken a few weeks for me to get used to managing my schedule along with school drop-offs and pickups and catering to my 2 year-old’s every whim. And as with most freelance work, sometimes you’re really busy and sometimes you aren’t. You know how it is. On the other hand, you know that when I do post, it’s something that’s really special. Enter Malie Organics. 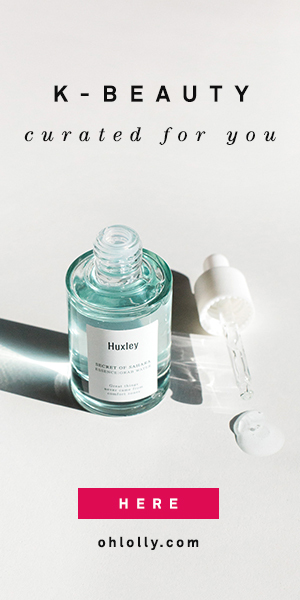 This luxury beauty brand from Hawaii offers several lines of all-natural, organic beauty products that are scented with natural oils and hydrosols from Hawaiian botanicals. And you guys, if any of you are into aromatherapy or just love beautiful natural scents, you will fall in love with Malie Organics (pronounced mah-lee-ay). I have honestly never been so wowed by the scents of a beauty brand. I don’t necessarily go for heavily-fragranced brands, but Malie Organics’ scents are so natural, they don’t bother my sensitive nose at all and in fact, I can’t get enough of them! The folks at Malie Organics generously gifted me with a body sugar scrub, a body balm, a body oil, and a perfume oil, in a variety of different scents so I could try several of the lines. Let’s get into it. I have a friend who lived in Hawaii for several years, and when I told her I had gotten a package from Malie Organics, she got super excited and was like, “It’s in all the luxury resorts!” And you truly do feel like you’re having a luxury spa experience when you’re using these products. They’re so decadent and luxurious, but in a really fresh way. It was so lovely to experience a bit of a tropical vacation while in the bath, and I honestly felt so relaxed afterwards, I really wonder if the aromatherapy aspect really had an effect on me. Often with synthetic fragrances, I get a slight headache and if they’re strong enough, they make the inside of my nose hurt. The lovely thing about Malie Organics’ organic, natural fragrances, is that I don’t have any of those reactions. The Malie Organics Body Gloss is a rich body butter that feels like whipped coconut oil, and sure enough, coconut oil is the first ingredient, along with mango butter, aloe butter, macadamia nut butter, honey, and more. This is a lovely body balm that can be smoothed over wet or dry skin. I personally like putting it on damp skin as I feel it holds in the moisture better. It doesn’t feel greasy once it sinks in, but it absorbs faster on damp skin than on dry. I received the Malie Organics Beauty Oil in Plumeria, the iconic Hawaiian flower. This is a fast-absorbing body oil that again can be used on wet or dry skin. You can also pour this in a bath or put in your hair. I found that it was less rich and moisturizing than the body gloss, but it compensated for that in being so fast-absorbing and non-greasy. The scent in the beauty oil comes from organic Hawaiian hydrosols, botanical essences that are captured via a distillation process. The smaller roller bottle (so convenient for a purse!) contains the Malie Organics Perfume Oil. I got the Pikake flavor, which is Hawaiian Jasmine. I personally LOVE the smell of jasmine. It may be my favorite scent, though rose and neroli are close. This perfume oil smells like a pretty straightforward jasmine but with a little extra richness and sweetness giving it a bit of complexity. Now this was the most intriguing product and scent. The Malie Organics Body Polish in Koke’e (named after Hawaii’s oldest rainforest). As soon as I opened it up I was immediately caught by how unique the scent is. The main scent is the maile vine, a leafy plant which is only found in Hawaii. It also has floral notes and a base of tonka bean and amber. Having never smelled either a maile leaf or a tonka bean in person, I can only tell you that this body scrub has one of the most unique (and indescribable) scents I’ve ever come across. My first thought was that it smelled of sweet almond. But it has some wild, green, grassy elements to it as well. It’s kind of a tangy, rainforest-y scent. I’m sure I don’t need to tell you that I thoroughly enjoyed all of the products I received to test from Malie Organics. Of the four products, the one that was the most interesting-smelling (and effective) to me was the Koke’e Body Polish (and it’s also comparatively well-priced at $29 for 8oz, well worth it for such a great product). For a daily scent, the Pikake (Hawaiian jasmine) perfume oil is probably the most doable for me, but I might look into getting the perfume spray for a longer lasting fragrance. I love that all of these products are crafted from Hawaiian plants and reflect the natural environment of Hawaii. They definitely stand out among a sea of body and skin care products, with their unique fragrances and top quality ingredients. You can also get Malie Organics products from Nordstrom (affiliate link). The products in this post were provided free for review. All opinions are my own. My oh my, the gloss and the scrub sound amazing! I’ve been to a few nice hotels in Hawaii and I’ve never heard of Malie Organics, but next time I’ll look for them! You definitely should! You can also order them online…I believe their Hibiscus line is one sale right now =). I absolutely love naturally derived fragrance in beauty products as I think it really elevates the experience, and the scents for these products all sound amazing!! I tried a body lotion from another Hawaiian brand featuring Pikake and it’s still one of my favorite floral scents to date. Thank you for introducing this brand, will definitely keep them on my radar! I absolutely love these fragrances…and I find it amazing that they don’t bother me or cause allergies or anything. And my goodness, the Pikake is LOVELY, I feel certain you’d love it. You’ll love this then, Marina! I’m not sure that I’ve ever smelled tonka bean. I need to go to a perfume distillery just to do a taste test of all the different scents haha!